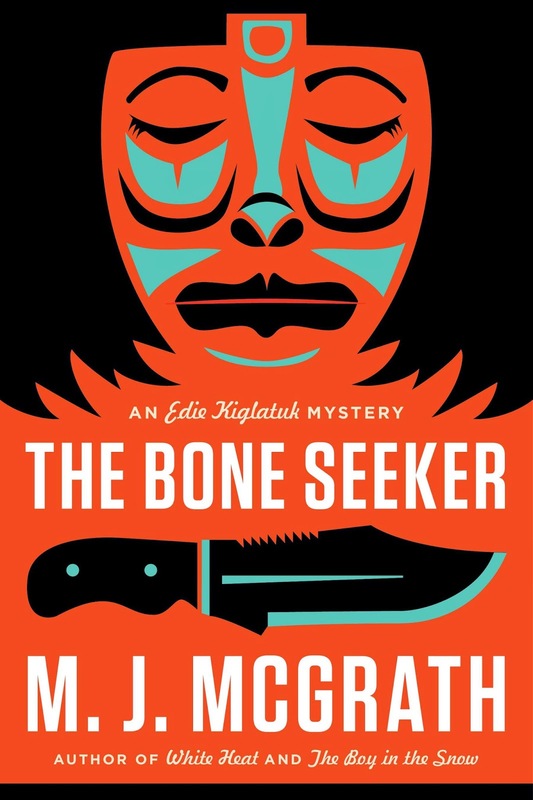 Edie Kiglatuk, the fearless Arctic heroine from M. J. McGrath’s White Heat and The Boy in the Snow, is back in THE BONE SEEKER: An Edie Kiglatuk Mystery, the third book in the acclaimed series (Viking; On Sale: July 28, 2014; $27.95; 978-0-670-78580-3). Edie is working as a summer school teacher in the town of Kuujuaq when one of her favorite students, Martha Salliaq, goes missing. When the young woman is found dead and brutally defiled in nearby Lake Turngaluk, Edie teams up with Sergeant Derek Palliser to uncover the truth behind Martha’s murder and find justice for her traditional Inuit family. As it happens, Lake Turngaluk is feared and avoided by the residents of Kuujuaq—the lake was contaminated years ago when it was used by the Defense Department during the Cold War as a Distant Early Warning radar station. Now, it’s the latest project of Sonia Gutierrez, a bullheaded lawyer from the “south.” Gutierrez and Martha’s father, Charlie Salliaq, have struggled for years to begin the cleanup process, but Martha’s death brings this to a halt, much to Sonia’s and Charlie’s frustration. In the tightknit community of Kuujuaq, the local Inuit families are distrustful of any outsiders (qalunaat, as they call them) and the Salliaqs are quick to blame their daughter’s death on the rowdy soldiers who recently set up a base just south of the lake. Edie and Derek, however, need hard evidence before they can make an arrest. Edie, half-Inuit, and Derek are both considered outsiders, hampering their efforts. But just as it seems they’re making progress, the Defense Department seizes control of the investigation, the crime scene, and Martha’s body. As Derek and Edie continue the investigation in secret and Gutierrez searches through old records in the hopes of restarting the cleanup of Lake Turngaluk, all three begin to suspect that Martha’s murder is just part of a much larger and darker secret that dates back to the building of the Cold War-era radar station. Why are the local Inuit families so reticent to talk about the hard days of the past when “bad spirits” caused widespread miscarriages? Why does Charlie Salliaq refuse to discuss his days working at the radar station? And why is the Defense Department so intent on keeping Martha’s body? Edie, Derek, and Sonia must all risk their own lives to uncover the truth. Set against the stark and haunting beauty of the Canadian Arctic, THE BONE SEEKER is a thrilling and skillfully written mystery that shows how an isolated Inuit community continues to be haunted by its dark history. M. J. McGrath is an award-winning journalist and the author of several books of nonfiction. Her fiction debut, White Heat, was long-listed for the UK’s CWA Gold Dagger for best crime and mystery novel of the year. She received the Mail on Sunday/John Llewellyn Rhys Prize for Best British Writer Under 35. Her second novel, The Boy in the Snow, was a (London) Times Best Crime/Thriller Book of 2012. She lives in London.